Tech book club is coming, and it’s going to be amazing. Back in June, we unveiled Tech Book Club, a club for reading and discussing books related to tech. 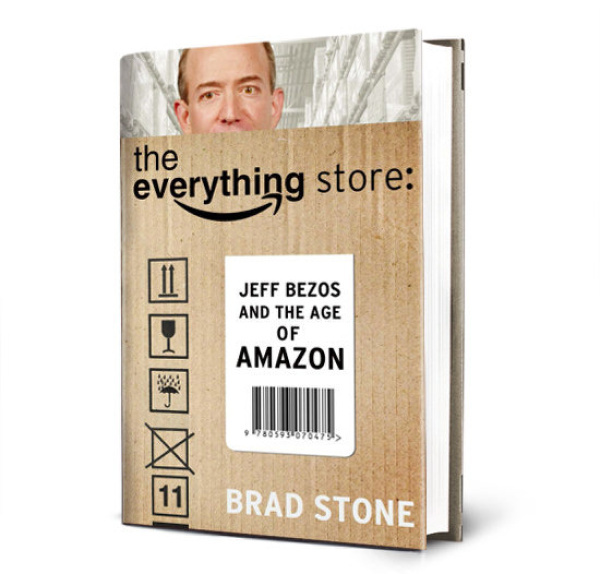 We also announced our first book, “The Everything Store” by Brad Stone, a fascinating history of Jeff Bezos, and the creation of Amazon. After months of prep, we’re finally ready to release our first author interview, featuring Brad Stone. We’ll talk about how, and why he wrote this book, what he thinks of Amazon after seeing “how the sausage is made”, and what he predicts for Amazon’s future. We’ll also get a glimpse into what’s next for Stone. Michael: For much of the book, and much of Amazon’s history, Amazon was teetering on the edge of both failure and success. At present, it’s an incredible success. What would you say was the most pivotal moment (the turning point) in Amazon’s history? Brad Stone: The turning point was figuring out how to efficiently run the fulfillment centers. Everything Amazon built stemmed from that – free shipping, Amazon Prime, and now much of the marketplace business and fulfillment by Amazon, in which Amazon stores and ships other retailers goods. That was the key turning point – the journey from 1999 to around 2002 to make those massive facilities work well. Start reading “The Everything Store” now, if you haven’t already, so you can enjoy the interview more when it arrives. If you don’t already own it, you can pick it up here (ironically, on Amazon). Follow us on social media, or sign up for our newsletter, to know when the interview arrives.